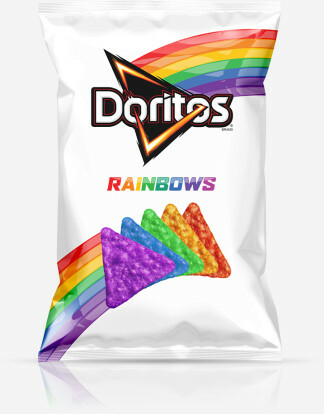 I really need to see these Doritos, available with a $10 or more donation to the It Gets Better Project, up close and personal. Blue chips! In semi-related news, Burger King is finally bringing black buns to the US (for Halloween, duh) but at this point do we really care?